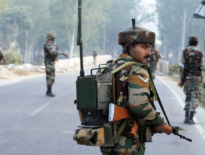 3 CRPF personnel were killed by their colleague in Jammu & Kashmir’s Battal Ballion area of Udhampur district on March 20, 2019. The incident occurred at 10 PM at the 187 Battalion camp of CRPF. Commandant of the battalion Harinder Kumar briefed the incident to the media. Constable Ajit Kumar allegedly fired at his colleagues with his service rifle following an argument at the camp in which 3 jawans died. Head Constables Pokhermal from Rajasthan, Yogendra Sharma from Delhi, and Ummeed Singh of Haryana died in this incident. Constable Kumar shot himself after killing three of his colleagues. Ajit Kumar, who hails from Kanpur, was admitted to a military hospital in critical condition.